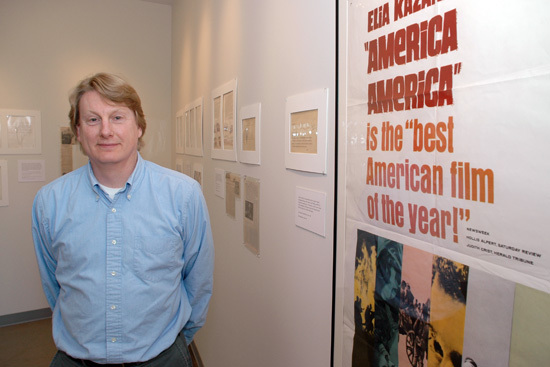 Leith Johnson, co-curator of Cinema Archives, stands inside the Elia Kazan’s “America America” exhibit in the Rick Nicita Gallery. The exhibit closes June 21 and is available for viewing by appointment. Q: Leith, youre co-curator of Cinema Archives. When did you come to Wesleyan and were you hired in as co-curator? A: I came to Wesleyan in 1990 as the associate curator. I was promoted to co-curator in 1999. Q: Where do you have degrees from, and in what? A: I received my B.A. and M.A. in history, both from UConn. Q: Before coming to Wesleyan, what were you doing, or what led to working in cinema archives? 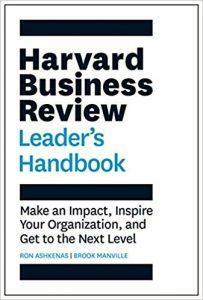 A: I was a business archivist working for two of the insurance companies in Hartford. Also, as a freelancer, I was writing histories of companies and institutions celebrating milestone anniversaries. The work was interesting enough, but the unique opportunity to work at the Cinema Archives allowed me to combine my interests in film, history, and archives management. Q: The Cinema Archives provide a home for Wesleyans growing collections related to motion picture, television and history. What about this fascinates you? A: I think what is most fascinating about the collections, which you might think deal only with film and television history, is that they actually illuminate so many other areas and disciplines. For example, the Frank Capra Collection includes material on his World War II activities of great interest to political scientists and historians. In the Elia Kazan Collection, there is correspondence among James Baldwin, Alex Haley and Kazan that discusses Malcolm X. Our Omnibus television series papers have original source material relating to John F. Kennedy, Thomas Hart Benton, Albert Einstein, and many other mid-20th-century giants. The Cinema Archives really fits in with Wesleyans long liberal arts tradition. Q: Who uses the Cinema Archives? 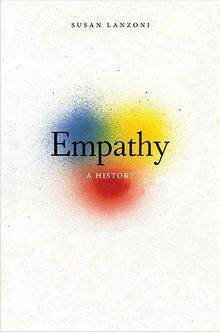 A: We serve a large array of users with many interests: biographers, documentary film and television producers, museum exhibition curators, students, genealogists, you name it. Several weeks ago, for instance, some of our photographs of James Dean on the set of East of Eden were featured on an American Masters documentary on PBS. Unlike a library, we do not permit casual browsing, but we welcome serious inquiries from all parties. The archives is open by appointment only. Q: Who is featured in the Archives? A: Among the more famous individuals, we have the collections of Ingrid Bergman, Frank Capra, Jonathan Demme, Clint Eastwood, Federico Fellini, Elia Kazan, Martin Scorsese, and John Waters, plus a number of others. Q: So, what would someone find, say if they want more information on Elia Kazan? A: The Kazan Collection is an amazing resource. Lets say you were doing a research topic on perhaps his most famous film, On the Waterfront. You could examine different drafts of the script as it evolved; Kazans personal, heavily annotated shooting script; his production notebook, in which he outlined his thoughts and feelings about the project as he developed it; correspondence from the scriptwriter, Budd Schulberg, and other key players; and other production materials. By the time you got done, you would have a tremendous insight into the finished work not to mention what was going on inside Kazans head. Q: How does the Cinema Archives acquire its collections? Do you collect moving image materials, or mostly paper materials? A: Mainly, through the personal contacts of Curator and Film Studies Dept. Chair Jeanine Basinger. We do not collect moving image materials as such. Although we do have some of that kind of thing within the collections, we are primarily a paper-based archive. Q: Who do you co-curate with? A: Thats a funny questionI dont think anyone has put that to me quite that way before. I work closely with Curator Jeanine Basinger on things like policy issues, donor relations and collection development. Our archivist, Joan Miller, is an indispensable member of our team and she and I collaborate on such matters as processing the materials, exhibitions, and reference and access topics. Q: How do you exhibit materials and are there any upcoming events? A: Sometimes, we lend materials to other institutions for exhibition. We also install shows in the Rick Nicita Gallery in the new Center for Film Studies. Through June 21, theres an exhibition on Kazans film and novel, America America. After that, well be hanging a show of classic movie posters and this fall, were planning an exhibition on Ingrid Bergman in Hollywood. Q: Of all materials there, whats your favorite and why? A: Ill make reference to the familiar saw that thats like asking which is your favorite childbut I will say we have some things that really stand out for me, such as the Oscars that Ingrid Bergman won; a great self-caricature that Orson Welles sent to Kazan as a Christmas greeting; and the tremendous pink cockroach dress Ricki Lake wore in the John Waters film, Hairspray. Q: Do you have an interest in cinema outside of work? A: Sure, but I dont go as often as perhaps I should. Working with such knowledgeable faculty and studentswe talk about movies all the time over heremakes me constantly aware of so many movies that I ought to see, new and old, foreign and domestic, so that I spend a lot of time watching DVDs and old movie channels at home. Q: What are your hobbies unrelated to cinema? A: Im interested in the magnet that Paris was for artists, writers, musicians, and other cultural figures in the 1920s. I play and compose music from time to time. On weekends, I take long bicycle rides with my wife through the New England countryside. Q: Is there anything else I should know about you or the Cinema Archives? A: Besides working for the Cinema Archives, I spend a great deal of time assisting with the running of the Center for Film Studies. Im also an advisor to the Wesleyan Film Series. And one more thing I forgot to mention earlier: I collect scenes from movies in which archivists, archives, and historical records are depicted. So if you see one, please let me know. Marcia Bromberg, vice president of Finance and Administration, holds out a student housing map inside her office in North College. 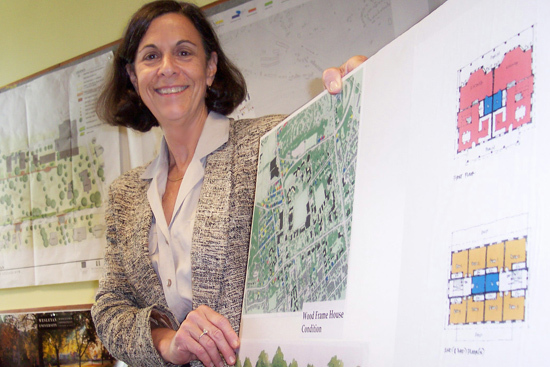 Bromberg, who spearheaded the new Fauver Field Residence Complex planning, is retiring from Wesleyan in July. Marcia Bromberg will retire from her position as vice president for Finance and Administration in July, but shell always have her footprint here on the campus. Bromberg came to Wesleyan in 2001 to oversee all financial and administrative areas of the university including accounting, budget, financial planning, investments, Human Resources and benefits, legal affairs and risk management. Shes also the watchdog to all auxiliary services and campus facilities. 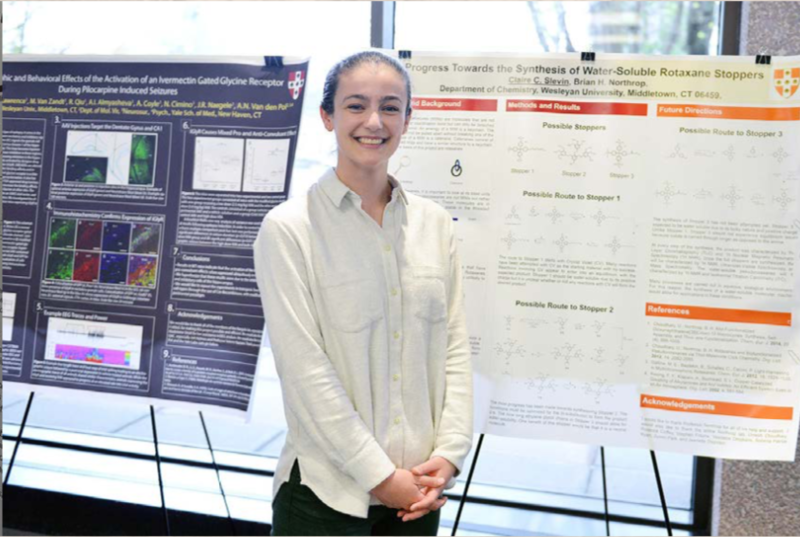 Im interested in all these areas, and Ive had experience in all of them, but never all at once until Wesleyan, she says. Before coming to Wesleyan, Bromberg held positions at Brown University, Tulane University and the University of Wisconsin. She also worked as vice president for Finance and Administration for The Nellie Mae Education Foundation in Massachusetts. Her initial responsibility at Wesleyan was to create a more open and understandable set of processes and documents so those who look at the budget and have to use it to make decisions can understand it better. A year later, she refurbished the entire annual budget, financial statement and long-range planning materials. The documents needed extensive rewriting. She also developed a new administrative staff evaluation and compensation system that rewards employees for their accomplishments. The system makes connections between employees personal goals and goals of the university. In between developing systems for the administration and staff, Bromberg focused on student issues, such as housing. For the past 15 years, Wesleyan officials have discussed ways to bring all students onto the campus, fulfilling the Universitys goal of being an undergraduate residential campus. The Fauver Field Residence Complex solved the problem, Bromberg says. By next September, Wesleyan will be able to house all but 20 students on campus. The new housing will be environmentally friendly, built to Leadership in Energy and Environmental Design (LEED) standards. Additional undergraduate housing, small units being built to complement the wood-frame houses used by upper-class students, are both environmentally and budget-friendly, relying on clean, low-cost geothermal heating and cooling. 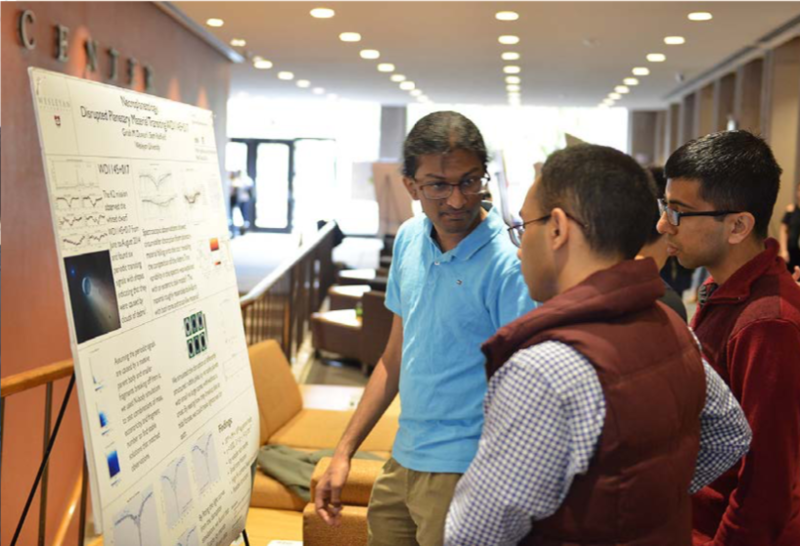 As part of Brombergs energy conservation initiatives, Bromberg worked with faculty, staff and the Environmental Organizers Network (EON) to diligently look for ways to push the use of renewable energy. 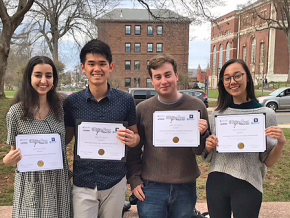 During her tenure, Wesleyan has purchased and implemented clean-energy electric vehicles, held its first Environmental Awareness Day in March, and planned recycling activities around campus. Most recently, Wesleyan has agreed to support Middletowns efforts to become a Clean Energy Community by agree to purchase 1 gigawatt hour of electricity from renewable energy sources or green energy. This purchase will allow the city to receive a free photovoltaic cell to promote new energy sources. Bromberg also hired a director of auxiliary services, and redeveloped the universitys bookstore to provide the faculty and students with significantly improved services to meet their academic needs. She also developed the Master Planning Executive Committee and the campuss master plan to insure a consistent look throughout campus. Bromberg sat on several other committees including the Space Committee, Compensation Task Force, Financial Aid Committee, Enrollment Group, the Compensation and Benefits Faculty Committee, Wesleyan Landmarks Advisory Board, the Dining Advisory Committee and the Fauver Field Residences Project Team. Shes also on four board committees with administrative staff including the Finance Committee, Audit Committee, Facilities Working Group and Real Estate Working Group. Gil Skillman, associate professor of economics and tutor for the College of Social Studies was on the search committee that interviewed and ultimately recommended hiring Bromberg. Were going to hike as many high points in every state that we can. Well, not in the West. We know our limits, says Bromberg, who has already hiked the 6,288-high Mount Washington in New Hampshire and the 1,952-foot high Tim’s Hill” in Wisconsin. Along the way she may visit with her children, Tam, 31, in Chicago and Sarah, 25, in New York. After her cross-country trek, the Miami, Fla. native plans on moving back to Ashville, N.C., where she already has a residence. There, she aspires to learn the fiddle, garden and start a Web page. Looking back, Bromberg says her biggest accomplishment was not a new building or committee. Its was her ability to build a team out of a department. 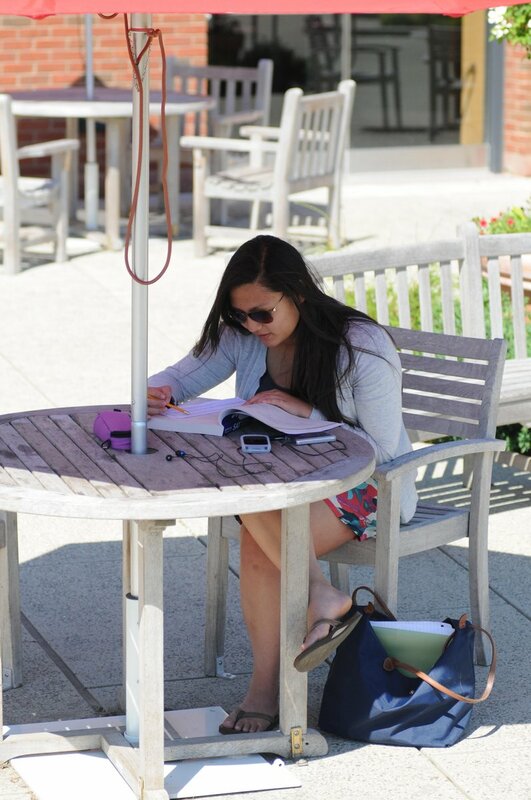 Wesleyan has launched a new virtual tour for the campus community and prospective students. Above, an interactive Wesleyan campus map highlights 50 campus buildings. At right, a part of a guided tour by a Wesleyan student. Take a trip from Freeman Athletic Center to the Center for Fine Arts, locate all the wi-fi sites in between, find a place to eat, learn a little Wesleyan trivia and even see whats happening on campus  all without ever leaving your computer. A new Web site called The Wesleyan Experience http://www.wesleyan.edu/virtualtour/ gives users a chance to do all this a more. The site combines online tours with interactive-campus-wide information using maps, audio, digital video and text presentations. The site was launched in May after more than a year of planning by the Office of University Communications and the Office of Admission. From The Wesleyan Experience home page, users have the option of seeing the days events, going on campus-tours guided by three different students clicking into campus maps for information about specific campus locations and services. 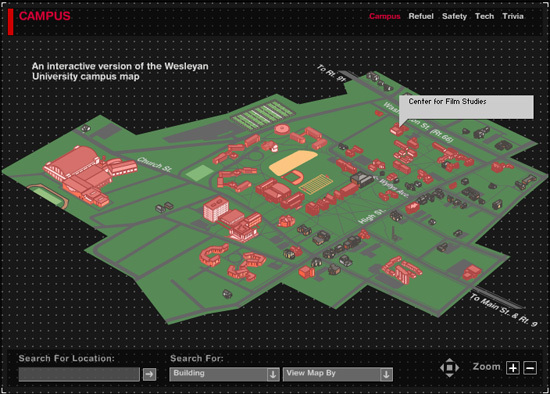 The campus map section of the site includes illustrations of all Wesleyan buildings. When a user mouses over a structure, the buildings name appears. Clicking on the building produces a pop-up window describing the facilitys purpose. Photographs accompany all descriptions. Users can obtain physical and factual information regarding all 50 buildings on campus. Events of the day are noted, computer labs and wireless zones are marked and the location of all the campus public safety call boxes are displayed. Users can quickly find locations and descriptions of the campuss seven eateries. A campus-wide Wesleyan trivia map is also available and provides fun and interesting facts that may come in handy as Wesleyan approaches its 175th anniversary. The student-hosted tours offer a different view of campus. Each tour is told from the particular students perspective, mixing audio, video and still photography. The guides lead viewers through their typical day of classes, sports practice, social events and extracurricular activities. 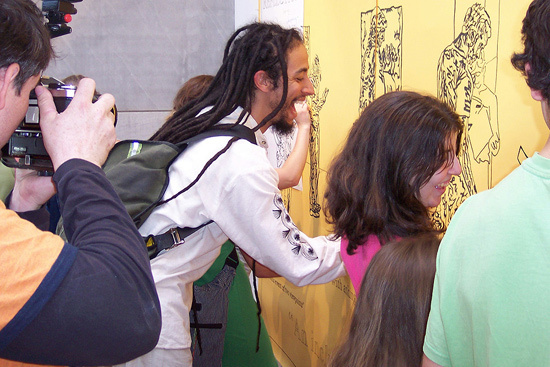 The guided tour section of the site features three students, Nathan Victoria 05, Micaela Gutierrez, 07 and Al Asante 07. Viewers can sit through Nathans Wesleyan Student Assembly meeting; speak French with Micaela; or attend football practice and choir concert with Al. Carlstrom and Perillo, along with World Wide Web administrator Pat Leone, Web designer Ryan Lee and former Web designer Sasha Foppiano designed the site. William Holder, director of Publications and David Low, associate director of Publications, assisted with the writing and editing; and William Burkhart, university photographer, photographed images used on the site. Nancy Meislahn, dean of Admission and Financial Aid provided funds for the project. Charlotte Lazor, associate director of the Admission Information System, and Kristen McQueeny, program and events coordinator for the Office of Admission, helped coordinate and conceptualize the site. The site uses Macromedia Flash technology, a tool used for creating interactive and animated Web sites. Avenue A Razorfish, an interactive services firm, aided with the sites structure and back-end Flash technology. The site will be reevaluated during fall semester. The sites creators are planning to add incoming freshman as tour guides and add additional interactive buildings. Wesleyan’s trustees formally adopted a new strategic plan for the university at their meeting on May 20. “Engaged with the World: A Strategic Plan for Wesleyan University, 2005-2010” (www.wesleyan.edu/wesleyanplanning/) sets ambitious goals for academic and student life programming and for campus renewal, according to President Doug Bennet. The new plan is the product of almost two years’ dialogue among faculty, students, staff, alumni and trustees. 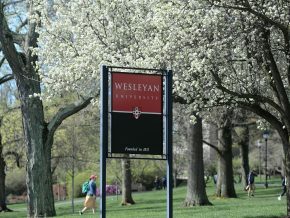 It notes institutional advances that resulted from the implementation of its 1998 precursor, “Strategy for Wesleyan,” and the success of the $281 million Wesleyan Campaign, including the addition of 20 faculty across the disciplines, as well as advances in curriculum and pedagogy, student aid, and campus facilities. 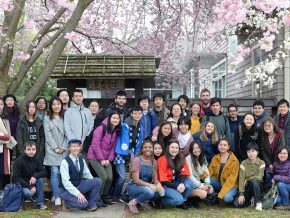 “Engaged with the World” describes the ongoing work of the faculty to implement the curricular innovations envisioned in “Wesleyan Education for the 21st Century,” as well as to prepare students to engage in an increasingly global society. It emphasizes the need to encourage more students to participate in the sciences as an integral part of their preparation for citizenship. · providing additional financial support for distinguished visitors and campus events planned by faculty and students for the residence halls and the new Suzanne Lemberg Usdan University Center. The new plan establishes priorities for renovation and construction of campus buildings. These projects constitute the third phase of the facilities plan developed as part of the Strategy for Wesleyan and confirmed during the Facilities Masterplan study in 2002/03. They include a new molecular and life sciences building; renovations to Davenport Hall, Olin Library and the Davison Art Center; the second phase of the Center for Film Studies, and the rehabilitation of the old squash building as a museum to house Wesleyan’s collections of art and material culture. These projects will proceed as targeted fund-raising efforts make them possible. The plan cites a crucial need to increase Wesleyan’s per capita endowment. One of the university’s highest priorities must be to support a growing proportion of essential and predictable costs (such as faculty salaries and financial aid) through the endowment, the plan states. Over the long term, increasing endowment in this manner will increase Wesleyan’s budgetary flexibility and reduce its dependence on tuition. “We must take every opportunity to increase the endowment through new gifts, careful stewardship, and successful investments,” according to the plan. In order to implement these initiatives, Wesleyan will need to raise funds even beyond the levels achieved through the Wesleyan Campaign. In the year ending March 31, 2005, Wesleyan’s endowment has performed in the top quartile of schools with similar-sized portfolios, according to data collected by the Office of Finance and Administration. Wesleyans return of 11.7 percent was not only 2.2 percentage points above the 25th percentile for peer schools, it was almost twice the S&P 500 return for the same period. These results reflect a series of improvements in Wesleyan’s portfolio management, according to Vice President for Finance and Administration Marcia Bromberg. In 1997 the university developed new endowment guidelines that divided the activities of the Wesleyan Board of Trustees’ Portfolio Subcommittee, into asset-class working groups. The Board engaged alumni who are experts in the various asset class fieldssuch as marketable equities, fixed income, private equity and hedge fundsto participate in choosing and reviewing managers and finding investment opportunities. Wesleyan hired a professional director of investments, Tom Kannam, to work with the Portfolio Subcommittee to identify, vet and monitor manager results. Kannam has provided data and detailed analysis that allow the Portfolio Subcommittee to better assess asset allocation decisions and identify segments of the market ripe for investment opportunities. Wesleyan’s new strategic plan recognizes the importance of adding new gifts to the endowment. The university has set an annual goal of new gifts equal to 1.5 percent of beginning endowment value. That goal will increase over the next several years to 3 percent of beginning endowment value. While Wesleyan’s endowment lags those of competitors among the elite liberal arts colleges, the reason has never been investment performance, according to Bromberg. To understand why the university’s endowment fell relative to this group since the early 1980s, Bromberg’s staff compared Wesleyan’s endowment over a 15-year period (1983-1998) with six of its strongest peer liberal arts colleges. Wesleyan began the period with the second-largest endowment and ended with the smallest. Reviewing investment results, endowment spending formulas and new gifts to the endowment, it became clear that Wesleyan’s average to above-average investment performance was not the reason the endowment lost ground. Nor was spending, although the university spent marginally more than its peers. The key to the relative decline was that the other schools added significant new gifts to their endowments during this period and Wesleyan did not. The recent success of the university’s fund-raising efforts, as evidenced by the $281 million Wesleyan Campaign, and the commitment to building the endowment through new gifts will be crucial to strengthening Wesleyan’s relative financial position, according to Bromberg. Improved investment performance will both maximize the leverage of gifts to the endowment and increase donor confidence in Wesleyan, she said. A new, 18-foot-wide, gravel access road will run along the Usdan University Center construction zone. An 8-foot chain fence will go up this week. A new gravel access road will be put in for foot traffic, handicap, emergency, service and construction vehicles only. Starting this month, construction for the new Suzanne Lemberg Usdan University Center begins. Alan Rubacha, project manager, is setting up an 8-foot chain-link fence that will surround the old Alumni Athletic Building and Fayerweather Gymnasium. The driveway and cement walkway that currently provide access from Wyllys Avenue to the lot behind South and North College will be closed to vehicles and pedestrians as of Monday, June 13. The lot itself will be closed except for handicap access and service. Parking has been reassigned to the lot adjacent to the Office of Admission and to the lot behind the Center for Film Studies. Foot traffic will be diverted around the L shaped construction site. The pathway along College Row, between Wyllys Avenue and Judd Hall will not be affected. Foot traffic west of Fayerweather will be diverted onto a temporary gravel access road. The road, 18-feet wide, will cut from Wyllys Avenue across Andrus Field behind Fayerweather and end in the lot behind South and North College. This access road will be for foot traffic, handicap, emergency, service and construction vehicles only. 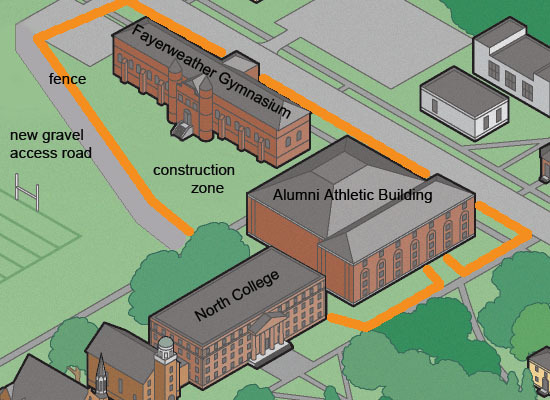 A portion of Fayerweather, the old Alumni Athletic Building and power plant will be demolished to make room for the Usdan University Center. It will be loud, theres no question about it, he says. The Usdan University Center will consolidate dining facilities for students and faculty, and will provide seminar and meeting spaces. It will house the Wesleyan Student Assembly, the post office, and retail space. Facilities for formal and informal gatherings and events will complement those available in the Memorial Chapel and ’92 Theater. A south-facing plaza and second story terrace will overlook Andrus Field and will provide an outdoor venue. David Hall, manager of Grounds and Special Events, says the construction zone will not affect athletic games or bleacher set-ups. The building is expected to be completed in August 2007. For more information on plans for the University Center, visit http://www.wesleyan.edu/masterplan/univcenter.html. Krishna Winston, professor of German Studies, chair of the German Studies Department, and coordinator of the Mellon Mays Undergraduate Fellowship, holds her translation of Crabwalk by Nobel-Prize-winning author Günter Grass. In 1956, Richard and Clara Winston left their farm in Vermont to spend some time in Switzerland. Their two daughters, Krishna, 12, and Justina, 10, were enrolled in Swiss public school. They knew only a few words of German. Yet those nine months in Switzerland ended up shaping Winstons life. Winston went on to earn degrees in German from Smith College and Yale University. In 1970, she was hired at Wesleyan as an instructor. 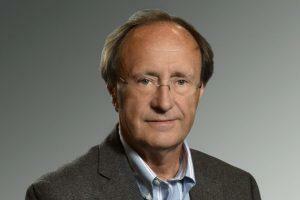 Now a full professor and chair of the German Studies Department, Winston is concluding her 35th year at Wesleyan. At Wesleyan, Winston has taught more than 20 different courses in German and in English, including Dada and Expressionism, Thomas Mann, The Simple Life, The German Volksstück, and Giants of German Literature. She also regularly teaches language courses. In addition to teaching, Winston coordinates the Mellon Mays Undergraduate Fellowship, a highly selective mentoring program that prepares students of color for graduate study and eventual careers as professors. She also serves as advisor to the Student Judicial Board. 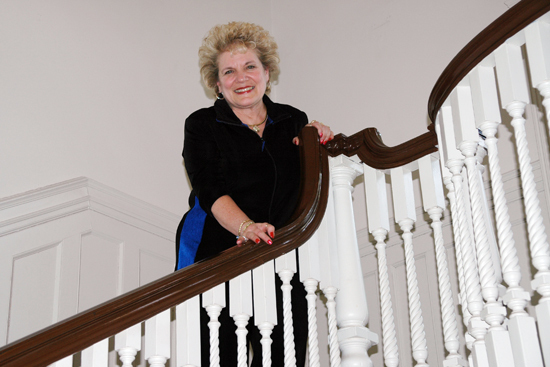 Since 1979 she has been the campus Fulbright Advisor, and she also guides students applying for ConnecticutBaden-Württemberg Exchange and German Academic Exchange Service grants. Winston is demanding of her applicants, who include seniors, graduate students and alumni. She has been known to ask students to revise their application essays as many as 10 times. This year, of 17 Fulbright applicants, seven received grants and two were named alternates. Robert Conn, associate professor of Romance Languages and Literatures and associate professor of Latin American Studies, says his colleague is one of the most committed and generous educators he knows. He admires her voluntary roles as advisor of the Mellon-Mays and Fulbright Fellowship programs. Such service, she says, is a tradition in Wesleyans German Studies Department. 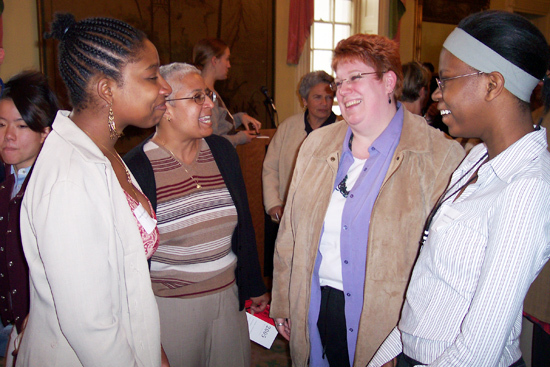 The late German Professor T. Chadbourne Dunham was a driving force behind bringing minority students to Wesleyan in the mid-60s, and women to Wesleyan in the 70s. German Professor Lawrence E. Gemeinhardt was Wesleyans first Fulbright advisor and advisor to all of Wesleyans foreign students. German Professor A.S. Wensinger, now professor emeritus, taught in and chaired the Freshman Humanities Program for many years and still serves on the Landmarks Advisory Board. And Peter Frenzel, also professor of German emeritus, took on the responsibility of training students to ring the South College Bells and spearheading fundraising for new bells, served as Dean of the Arts and Humanities and was Faculty Marshal. There was a sense of serving not just the department, but also Wesleyan and the larger community, Winston says. She took over as chair of the Freshman Humanities Program, and served on the Committee on Honors and General Education, the Wesleyan Press editorial board, and the Planning Committee for the Language Laboratory. In 199394 she did a stint as acting Dean of the College. Outside of Wesleyan, Winston has served as president, secretary, and newsletter editor for the Connecticut Chapter of the American Association of Teachers of German, as a trustee of the Independent Day School in Middlefield, as an evaluator of books for publishers, as a member of the Fulbright-Hays National Screening Committee for Germany, and as long-time chair of the Middletown Resource Recycling Advisory Council. She has also chaired Wesleyans United Way campaign. For several years she was a member of the North End Action Teams Housing Committee. For her translation of Grasss Too Far Afield, Winston received the Schlegel-Tieck prize and the Helen and Kurt Wolff Translators Prize, conferred by the German government. Winston plans to continue working through her parents papers, which include a wealth of materials on writers exiled from Hitlers Germany. She started this research three years ago, while she was a visiting fellow at the Kahn Liberal Arts Institute at Smith College, and her paper about ‘Second-Class Refugees’ appeared this year in volume of essays that grew out of the Institutes Anatomy of Exile project. 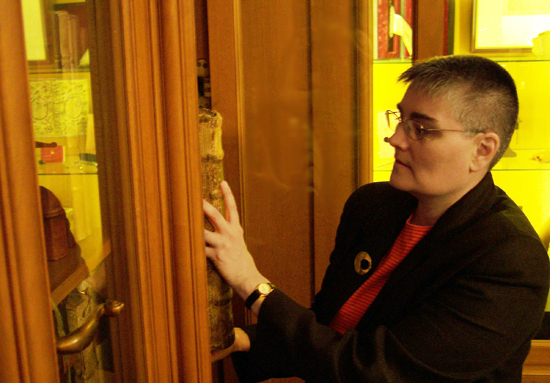 Suzy Taraba, head of Special Collections & Archives and university archivist, searches for a 15th century book housed in the Davison Rare Book Room. George W. Davison donated Olin Memorial Librarys oldest printed books. Q: You’re the university archivist and head of Special Collections & Archives. What led you into this area? A: I was drawn to librarianship at an early age in part because my mothers two sisters are librarians. Later on, after thinking about various other careers, I realized that librarianship, especially special collections librarianship, was a natural outgrowth of my education as well as being work that I enjoyed. The archival component of my career came later, when I worked at Duke and the University of Chicago. A: I earned my bachelors of art from Wesleyan from the College of Letters in 1977 and a Master of Library Service from Columbia University in 1982. My College of Letters major was especially germane for my job here at Wesleyan. Q: When did you come to Wesleyan and what were you doing before that? A: I came back to Wes in 1997 as university archivist. I was promoted in 1998 to head of special collections and university archivist. Immediately before that, I was the head of Public Services in Special Collections and Archives at the University of Chicago. Before that, I was director for Collection Development in Special Collections at Duke University. Before that, I was head of Rare Book Cataloging at Duke. And before that, I was senior rare book cataloger at Duke. Q: What are your objectives as the university archivist? A: My to-do list is endless, but my central goal is to get the greater Wesleyan community excited about Wesleyans fascinating history. Thats the first step in preserving it and documenting for the future. Q: What types of material are included in the Special Collections & Archives? A: Special Collections & Archives has first rate collections in many areas. Our collections include rare books, manuscripts, university archives, and local history. We have materials in nearly all formats: paper, audio and video tapes, photographs, CDs and DVDs, electronic records and objects. We have superb rare book collections in English and American literature, history, poetry, Methodistica, 19th century British social and economic history, Arthuriana, fine press, and artists books. We have a strong queer periodicals collection. We have the remains of the original Wesleyan Library. Q: Can you give a few examples of projects people would use these archives for? A: Three recent projects using the Wesleyan University Archives were extensive historical photo documentation research done by Rob Olson and associates as they worked on the new campus landscape plan; Web sites about Middletown and the river prepared by students in Vijay Pinchs Waterways class; and an alumnus researching the history of Eclectic. The rare book collections are heavily used as well, most often in conjunction with class assignments. Q: How do you go about helping people find what they need? A: First, we listen carefully and ask questions to be sure we understand what they really want. Then we rely on a combination of our knowledge of the topic and of our holdings, and a range of different tools, including archival finding aids, the librarys online catalog, card files, published sources or other things to help them find sources. Q: Do you recommend the Wesleyan community to send you copies of their publications to be archived? A: We are definitely interested in additions to the Wesleyan University Archives. 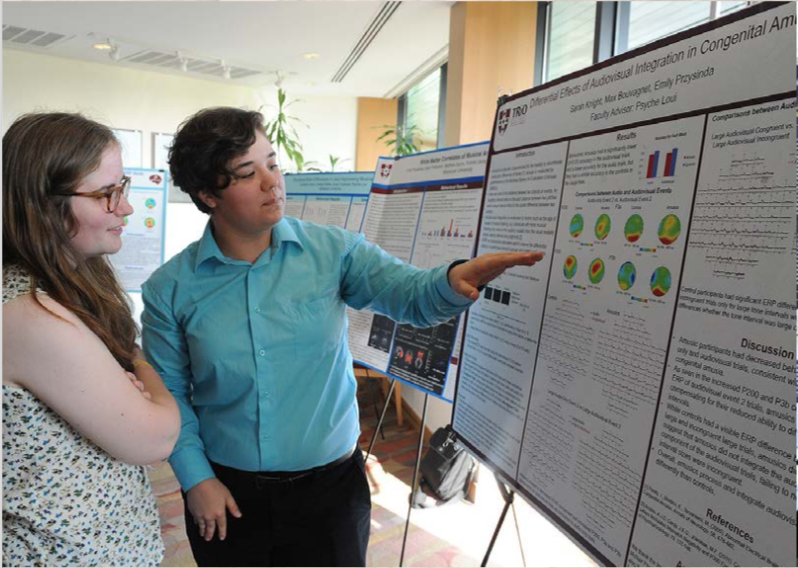 Materials you give to the archives today will support the researchers of the future. Q: What are your thoughts on your job? A: The work is always interesting and challenging. Its extremely varied as well. Although I do spend a fair amount of time in meetings, I also teach, write, acquire materials, do research and reference, supervise staff, plan for the future of Special Collections & Archives and work with donors. I especially enjoy working at Wesleyan because of my connections with the university going back to childhood. Wesleyan and Middletown feel like home to me. Q: Do you set up exhibits in the library? A: Im in charge of the librarys formal exhibit program, so I set the schedule and approve requests to install exhibits. The student art exhibits on the lower level and exhibits in the Olin lobby are not coordinated by me. Im often, but by no means always, the one who puts together the exhibits as well. Q: And you also give presentations and teach? A: Teaching and presenting about our collections is an enormous part of my job. This academic year, I gave presentations about our holdings to 45 classes of Wesleyan undergraduates, three graduate classes, and one graphic design class from Mitchell College. These classes ranged from English classes studying Shakespeare to early modern European history students to the Atomic Theory seminar. Im a regular presenter at alumni events and professional meetings as well. In addition to sessions that are part of classes taught by Wesleyan faculty, I taught two classes of my own this year. During the fall semester, I taught a five-week course in the history of the book through the new Continuing Studies program. In the spring semester, I taught a full-credit, 13-week masters level course, Texts in Context: The Book as Cultural Artifact, through the Graduate Liberal Studies Program. Teaching these classes was a wonderful, rewarding experience for me. Q: What is your personal interest in the history of Wesleyan? A: My connections to Wesleyan go back a ways, since my father, Wolfgang F. Taraba, came here in 1950-51 as a foreign student from Germany. He also taught German here from 1959 to 1963, so Wesleyan was very much a part of my early childhood. Q: Outside of work, what do you enjoy doing? What are your hobbies? A: Not too surprisingly, I love to read and visit libraries and museums, both art and history. I collect found photographs of women in couples or groups  imaginary ancestors, in a way. My partner, Marie Clark, and I live in Middletown in a 19th century house with our elderly Labrador retriever, Sappho, and our two cats, Sebastian and Victoria. Q: Is there anything else that I should know about your role here in special collections? A: I love my job! 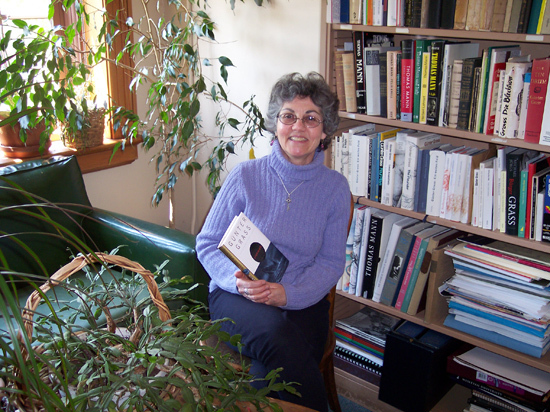 Georgie Leone, administrative assistant for the Center for African American Studies, has worked at Wesleyan for 41 years in four departments. She started here at the age of 18. Q: So, youre one of those rarities. A: Yes. I am originally from Middletown. We were referred to by the Wesleyan boys as townies way back when. I was born right here at the Middlesex Hospital. My maiden name is Lockhart and I am the oldest child of three children — the only girl and two brothers. One brother has passed on, but I have a baby brother who is 16 years younger than me. He obviously was a big surprise. Q: When were you hired at Wesleyan and in what department? A: Wesleyan hired me on October 14, 1963 to be a catalog assistant and the secretary to the head of the Catalog Department in Olin Library. I worked there for 15 years. Q: How many departments have you worked for over the years? A: I worked at the Graduate Liberal Studies Program as a secretary to the assistant director and I left there after 3 1/2 years. I then went to the Office of Admission for about two years as the secretary to one of the deans. And this year I will celebrate 21 years as the administrative assistant in the African American Studies Program, Center for African American Studies. I still cant believe it myself that I have been at Wesleyan going on 42 years. Q: What about Wesleyan has kept you here? A: I enjoyed the work I did at the library and the people who I worked with were wonderful. I think most of them were in their early 30s and 40s and older, and me being 18 years of age I was like a little sister or daughter to some of them. Q: When you came to Wesleyan, wasnt in an all-male university? A: Working at Wesleyan when you are 18 years old with that many male students around was so much fun. I definitely had a date every Saturday night if I wanted one. I wasnt boy crazy, but I wasnt Sister Theresa either so I can remember going to football games, dances and fraternity parties. Curfew was midnight for the girls to be on campus. The students dressed for dinner in the navy blue jackets. I really did meet some real nice guys back then, however, I ultimately married a high school classmate and weve been happily married for 39 years. Q: What have been the major changes at Wesleyan that you have noticed in your time here? A: I would have to say the addition of the women to Wesleyan in the late 1960s. I am from the old school in many ways and it was difficult to get used to seeing the women around campus. I guess now it is old hat but back then was another story. Q: What are your thoughts on your co-workers? A: My co-workers are the best. The faculty that have come through our doors over the many years I have been here have been fantastic. The concern for the program and the members of its staff is a major priority. We definitely all get along very well. The only big change now is that I am turning out to be the oldest in age and not the youngest any longer. The new hires seem to be younger and younger all of the time. I am treated with a great deal of respect by the members of the faculty, staff and the students. I guess you might say my reputation has preceded me know matter where I have been. The faculty and staff at the center are my extended family. A: The students have changed in some ways, but I do enjoy the interaction I have with them. I supervise about four to six students each semester as office assistants. They seem to be a little needier and maybe a little bolder. But they seem to know what they want and they go for it. In general, I would have to say that most of my dealings with students are positive. I always like the beginning of the school year when the frosh enter. They look so young and I feel like I have to mother them. Q: Whats a day like for you there in the Center for African American Studies? A: My day can change from minute to minute. It also changes with the time of the year. Right now Im dealing with the graduation reception, students storage at our center and making sure that all of our senior majors have passed their spring courses successfully to complete the major. I also am on the phone a lot, and we hold a class in our lounge each semester so students are always in and out. I meet with people, take computer courses when necessary, take care of the office budget, faculty accounts and just be here. Q: How has the African American Studies Program grown and evolved over your time there? A: I think the program has seen some highs and lows during the years I have been here. I came to the department in 1984 on the first day of school. Can you imagine! And this was a first for me. I had never worked in an academic department before. In 1984 the AFAM major had just been approved. It was a big time and our first graduating class of AFAM Majors was in 1985. We had five of them. It was a very exciting time. Now we have anywhere from 15 to 20 each year. Then, the chair and the director were one and the same. A few years later a director was hired specifically to direct the center and the chair was a tenured faculty member. We now have two tenured faculty members serving, one as chair and one as the director. We also have five tenured faculty members as opposed to having one or two tenured faculty members in the earlier years. So I guess you can say weve grown in that respect. And thats a good thing for sure. A: Yes, they do ask, but most of the time I think they are more taken by the fact that I have been here so long. You dont hear of anyone staying in one place of employment for a long time. I have one professor that when she introduces me to someone and tells them the length of time I have been here, she proceeds to tell them that, Georgie knows where all of the bodies are buried. And I guess she is right, I can go back and remember some things like they were yesterday, but then again, trying to remember what went on 42 years ago is not always easy. Some of it is starting to escape me. Q: Can you elaborate on your community services? A: I am very active in an organization called the Middletown Emblem Club No. 452. It is affiliated with the Middletown Elks Lodge in Middletown. I am a charter member and have been active since 1970 when the organization was instituted in Middletown. It is definitely a service club more than social. We foster and perpetuate patriotism, we are involved in many aspects of community service with the elderly and the youth. I also have been very involved in coordinating a program called Hawkwing, which provides children and the elderly on the Lakota Indian Reservation in South Dakota with warm clothing, personal items and books. Presently I am in the process of coordinating with the Head Librarian at the York Womens Prison in Niantic with providing the women with books and personal items. I was chosen Citizen of the Year by the Middletown Elks Lodge in 2001 and was also chosen by the Middlesex County Substance Abuse Prevention Council as the Father Michael OHara Volunteer of the Year Award in 2002. Q: What’s your involvement with drug rehabilitation services in the area? A: I’ve put in many volunteer hours with our local Drug Rehabilitation Centers. I have received Emblem state and national awards for my volunteerism in Drug Awareness. I am also the Treasurer for the Substance Abuse Prevention Council in Middletown where I have been an active member for the past 10 years. A: In my not so spare time, I am an avid gardener and I love to flower arrange. I call it my therapy. Just let me play in that dirt and I let the rest of the world go by. 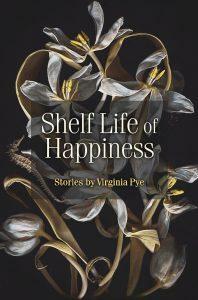 I have also been an active member and Past President of the Portland River Valley Garden Club for the past 15 years. I also like to cook and bake and believe it or not I like to clean my house too. A: My husband Ray and I are of Italian descent, you know the Mellili Sicilians that infiltrated Middletown over the years. We both attended and graduated from Woodrow Wilson High School in 1963. We do not have any children, but we have lots of nieces, nephews and now great nieces and nephews and they have grown up with us. They are scattered mostly in Florida and Texas. Q: Do you have any plans to retire? If so, when? A: Right now, I am looking at June 2006. I think 42 years is a long time to work and I would like to take some time for me. I would also like to be home with my mom for a while. She will turn 80 years old in June and has had some health problems this year. I want to be able to be home with her while the two of us can still have some fun shopping, go to the spa, take in a movie, or just stay at home and spend the day doing nothing at all. I think I am ready. It has been a glorious ride, but now it is time to get off. Pamela Tatge, director of the Center for the Arts, announces the lineup for the ’05-06 CFA season during a presentation May 4. An American brass quintet, ballet, African rhythms and Bulgarian bebop are all in the mix for the upcoming year at Wesleyan. 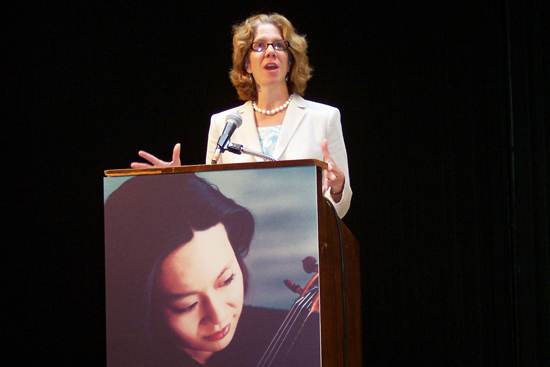 During the Center for the Arts season announcement on May 4, CFA Director Pamela Tatge introduced the 2005-06 season events. The season opens with Middletown Dances! on September 10. In Collaboration with the City of Middletown and community groups, the CFA is planning a citywide dance festival. The event will culminate in a community dance on Wesleyans Andrus Field, with performances and workshops along Main Street. The Crowell Concert Series will offer seven performances next year, bringing a wide array of world-class musicians to the intimate setting of Crowell Concert Hall. On the list is FleytMuzik by the Klezmer Band, the American Brass Quintet, Bulgarian Bebop, Lionheart, Ernest Dawkins and the New Horizons Ensemble, SFSound and violinist Midori. The Breaking Ground Dance Series will include performances by David Dorfman Dance; Electric Haiku: Calm as Custard; DanceMasters Weekend and the world premiere by the Liz Lerman Dance Exchange. Choreographer Liz Lerman, who will join Wesleyans faculty next year as a visiting dance instructor, is a 2002 MacArthur Fellow and founded the company in 1976. Through explosive dancing, personal stories, humor and a company of performers whose ages span six decades, Liz Lerman Dance Exchange stretches the expressive range of contemporary dance. She will participate in Middletown Dances! and premiere Ferocious Beauty: Genome at the Center for the Arts as the culmination of a year-long, interdisciplinary residency at Wesleyan. 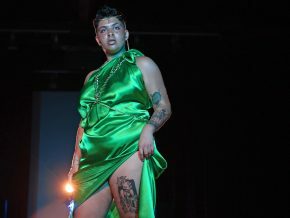 Other activities will include workshops at the Green Street Arts Center and teaching week-long intensive programs, such as the Summer Dance Institute 2005. The Liz Lerman Dance Exchange is really the anchor of our program for next year, Tatge says. The Outside the Box Theater Series kicks off with The Neo-Futurists: Too Much Light Makes the Baby Go Blind. Other theatre performances and discussions will be announced later in the year. 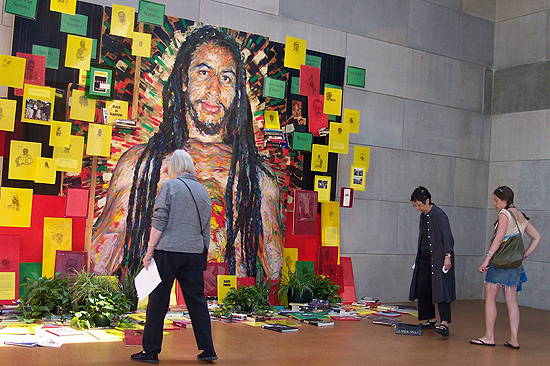 Additional events of note include The Disasters of War: From Goya to Golub in the Ezra & Cecile Zilkha Gallery, the Navaratri Festival, Celebrating Don Quixote, Eiko & Koma: Cambodian Stories and the Green Street Arts Festival. During CFA Days on June 28 through July 26 the Center for the Arts will feature Selected Songs of Charles Ives; Music, Nature and Silence; Making Basquiat, Broadways Best with Frank Mastrone, Folk Songs of Ireland, India and America. La Timba Loca, Alonzo King LINES Ballet, Wesleyan organist Ronald Ebrecht and the Jay Hoggard Quintet will be performing on campus, along with a reading from novelist and non-fiction writer Amy Bloom. The Wesleyan-sponsored Green Street Arts Center will celebrate its one-year anniversary in 2006. Ricardo Morris, director of the Green Street Arts Center, said the center is already planning classes in radio broad casting, studio recording, videography comic strip arts and tap dance. The Summer Dance Institute 2005 featuring Liz Lerman Dance Exchange will be offered June 13-17 and June 20-24 at Wesleyan. 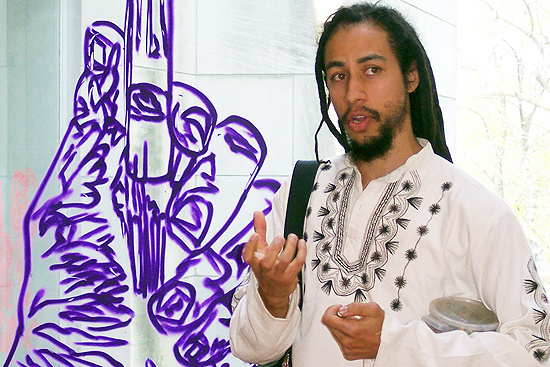 Participants can learn the tools and techniques for cutting-edge dance making, public art building and experience personal growth. Courses include “Dance is Big: Art-making and Community Building,” “Words and Movement,” “Dance Intensive for Senior Adults.” Another course, “Dance Deep: An Intensive for Dancers, Writers, and Theatre Artists,” is a three-credit graduate course offered through Wesleyan’s Division of Continuing Studies. Participants must be 18 or older and register by June 10. The course is sponsored by Academic Institutes at Wesleyan. For more information call 860-685-2900, e-mail csinquire@wesleyan.edu or visit http://www.wesleyan.edu/ ccst/.